Christmas is over again for another year. All of the presents (for the most part) have been opened, and already, the department stores have long lines in the return department. Right after Thanksgiving, I had my children bring the Christmas decorations out of our attic. We decorated our tree, and the rest of the boxes just sat there, full of beautiful decorations. A week went by… and then two and I just couldn’t seem to get to it. Finally I asked the girls if they would mind putting the decorations up. After all, Christmas was quickly approaching. One of my daughter’s finally had the courage to say, “Mom, really? What’s the point? We have our tree, and the beautiful nativity… why do we have to put anything else up when we will just take it down in another week?” I looked at the other girls and they all shook their heads in agreement. And at that moment, a huge sigh of relief came upon me! I quickly said to the girls, “Well, that’s the best idea I’ve heard all week, just take those boxes back up to the attic!” And they did. And I have one beautiful Christmas tree and one amazing nativity. No wreath on my door, no lights on my house, no cute Christmas decorations on my walls. And guess what? I had an amazing Christmas. About the same day that we returned those boxes back to their spot, I was in the sanctuary of my church. We have a rather large Nativity (life size) there because I have been doing a series during advent about it. As a walked by the nativity, I happened to notice that the manger was empty. Baby Jesus had not yet been placed in the manger because Christmas had not yet arrived. It caught my eye, and I knew that something was stirring in my heart. I even took out my phone and snapped a picture of it. (see above). 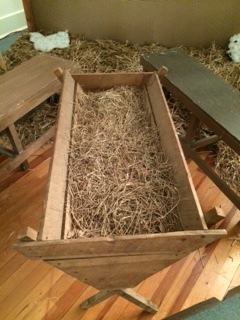 I went into my office and pondered the emptiness of that manger. I’ve been pondering it a lot lately. It seems the world is happy that Jesus is “out of the picture”. I read a news clip that a town in the US was up in arms that a church wanted to display the Nativity during the town’s annual Christmas Parade. The town council voted, and guess what? Yep, Jesus was not allowed in the parade! A few years ago, the big news was that department stores would not allow their employees to wish the customers “Merry Christmas” but they needed to say “Happy Holidays”. They didn’t want to “offend” anyone. Taking Jesus out of Christmas is so strange to me. It’s like not allowing the guest of honor to come to his own birthday party, for fear someone might be offended that he’s there. Maybe it’s because I’m getting a bit older… or maybe it’s because with losing my eyesight, I’ve taken notice of what’s more important… but for me… I want to live more intentionally. And at Christmas, I think we need to be intentional. We can become so caught up with making sure that all the decorations are “just right”, the yearly cookies are baked, and all the many gifts are purchased, and we may not even give thought to whether or not Jesus is in the Manger. What has Christmas become? Is it about the gifts? Or the Gift? Don’t get me wrong, I don’t want you to think I’m becoming “Grinch-like” in my character. I LOVE presents. I love giving gifts more than ever… I love this season more than any other. And yet, I know that I must be intentional about why I’m celebrating, or the focus could become all wrong. One tradition that we began with our girls when they were little is that before any gift is opened, we read the Christmas Story from Luke 2. We intentional take time to place our focus on the true meaning of our celebration. In a few days or weeks (depending on your tradition), the tree will come down, the presents put away, and life will return to “normal”… but let’s not take Jesus out of the Manger. Let’s not miss the point that He came, not to just celebrate a holiday, but He came to change lives. He came to be our Savior and Lord. He came to fill our lives with love. So, I’m challenging myself and inviting you along… let’s be intentional in how we celebrate Christmas… let’s put Jesus back where He belongs… In the manger… in the forefront… as the focus. After all, not putting decorations up is not really a big deal… but taking Jesus out of the Manger… well, that is just not acceptable! Today, I’d like to share something quite personal. It’s something pretty significant that has happened in my life, and although it’s personal, I hope that by sharing it, I can be of some help to others who may also be walking through similar situations. The recovery period was difficult. Due to the nature of my condition, I had to lay on my left side for 24/7 (minus five-ten minutes each hour). I had to do so for seven days the first time, and two weeks later, I had to return to my side for ten days. Now some would love the thought of being ordered to lay down for a week. In fact, I heard more than once from friends who heard of my “situation” and laughingly said “Lucky you”. But believe me, it was no vacation. I couldn’t see very well, so reading or watching TV was not an option. So, basically for 17 days during the months of October and November, I was silent, or listened to music or sermons on You Tube. But mainly, I listened to God’s voice. It was somewhere in the beginning of the second round of laying down that God revealed something pretty heavy to me. In that familiar, still-small voice, I heard this…”You are offended with me”. I was startled… it came out of the blue… I was not prepared for such strong words… WHAT? Offended at… GOD? Yep, that’s what I was hearing. Somehow, it didn’t take too long, for me to realize, that indeed, He was right. (Why do we question that?) I know what offense is… It’s an ugly, horrible emotion that can be attached to pain and rejection. I’ve dealt with offense before… we all have. Being lied about, lied to, cheated on, misunderstood… it can all lead to offense. And I’ve preached about it- it’s the biggest tool that the enemy uses on people to get them out of relationship with one another and into disunity. But this was a little different… being offended at God seems so… awful… I mean, I believe that God is perfectly loving and cares for us like a Father… how could I somehow have harbored offense in my life towards Him? Well, as with most issues of the heart, it didn’t begin overnight, and it was very, very subtle. The Lord revealed to me that there were prayers that I felt went unanswered; struggles that I endured for years, that I felt He turned a “deaf ear” to. There were areas of my life that I had sacrificed in obedience to Him and yet they didn’t work out as I had thought they would… disappointments… unanswered prayers… struggles… and then, losing my eyesight sort of was the proverbial “straw that broke the camel’s back”. The crazy thing was this: I didn’t even realize that I was offended with God until He gently pointed it out. I had encouraged people in the Lord, sincerely preached from the pulpit to trust God… and yet, deep inside, there was this ugly area of my heart. As I laid on my side and pondered this horrible realization, I felt the Lord instruct me to read about John the Baptist. I knew about John- Jesus’ cousin that ended up being an eccentric wild-man living in the desert- wearing camel’s fur and eating locust. I knew that He baptized Jesus and in the end, He was beheaded. But the verses that struck me when I read them was the short few verses that talked about John while He was in prison. John asked his disciples to go and ask Jesus if he really was the Messiah, the One that they had been waiting for. Isn’t that odd? John had dedicated his entire life to spreading the news that Jesus was the Messiah; he was the forerunner to that message. John even baptized Jesus and heard the audible voice of God declare it to be so. But, while he was locked behind bars, he was questioning that fact. I wept… and wept… as I knew that the Lord was allowing my heart to be revealed… I had taken offense to the Lord… I had secretly felt that He didn’t care… that He wasn’t coming through the way He should… I felt abandoned to some extent because of my list of disappointments. As you have read this, maybe you have also realized that you’ve been offended with God. May you have questioned His goodness or love because of unanswered prayers… disappointments… unfulfilled dreams? It’s comforting to know that you are not alone… and it’s also comforting to know that God knows about it, and still loves us. And let’s watch what He does… Let’s watch what He does in spite of it all. My vision is slowly returning, but my heart is better than ever! It’s weird… I woke up this morning and the very first thing that was on my mind was something that happened to me maybe 40+ years ago…. On that day, long ago, it was freezing cold outside. I was home from school for a “snow day” and my sisters and I were outside playing in the snow. We were getting cold and my sisters went inside ahead of me and I lingered on the back steps that led to my house. I was a gymnast from the age of two, I think, and I usually grabbed ahold of any banister I could find and swing on it like a monkey. This time was no different. But the metal bannister was covered in a thick coating of ice. “HOW COOL! An instant Ice-pop!” I thought. I thought… wrong! 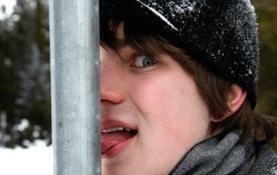 Instantly, I bent over to the shiny icicle and stuck my tongue out to lick it. Much to my horror, my tongue stuck fast to the ice-covered, metal. Without thinking (again), I quickly reacted and jerked my mouth away from the bannister. Horrified, the top layers of my tongue stayed put, and my mouth instantly filled with blood. It was a hard lesson. DO NOT EVER PUT YOUR TONGUE ON A FROZEN PIECE OF METAL!!!! As I began thinking about this so early this morning, I seriously wondering “why”? It is not snowing outside, and although it’s chilly, icicle shouldn’t have been on my mind first thing this morning. Then, I got a huge revelation. Maybe the Lord wasn’t getting my attention to prepare me for cold weather, but maybe He was speaking to me (again) about the tongue…. Yep… that’s what this early morning memory was about. The Bible teaches us that the tongue is one of the smallest parts of our body’s anatomy, and yet it is able to control the entire Body. The Lord compares our tongues to a ships rudder… a small piece on the ship, but the rudder is what allows the ship to turn directions. What are we saying? Are we gossiping about people, discrediting them in the eyes of others, or are we keeping our tongues silently whispering prayers to the Father about those areas that burden us for our friends? What are we saying? Are we swearing? Or are we Praising? What are we saying? Are we speaking the truth, or are we throwing in a little exaggeration to make a situation more interesting? Grumbling, complaining, gossiping, swearing, lying, and any other negative action that our tongues like to take, is literally like placing it on that iced metal bar… placing it somewhere that it doesn’t belong!! And the repercussions can be just as painful! Why is it that it’s so tempting to put our tongues where it doesn’t belong? Why is it that it’s so much easier to gossip than to pray? Why is it that it’s so much easier to complain than to praise? Why is it that it so much easier to “wag our tongues” than to just keep quiet? I’m thankful for this early morning visual, because I truly believe that when we place our tongues where it doesn’t belong, we hurt ourselves just as much (if not more) than I did that morning long ago. I walked away bleeding and pained and it lasted for days. I couldn’t talk right, I couldn’t eat, and I couldn’t even drink a glass of water without pain. If only we could feel the pain, as I did that day, when we gossip, lie, swear, and complain. Let’s speak words of praise and truth and honor and blessing and cheer. And most of all, let’s use our tongues to worship and praise Our Lord. The news is devastating. People are in the streets screaming for justice, screaming out their pain, screaming to be heard! If you turn down the volume, you will see the pain on their faces. The incident that has been taking place in Missouri this week is only the result of pain that has been there all along. Isn’t that how our lives are as well? Pain that is hidden at times rises to the surface and it erupts. It comes pouring out. I can recall a few moments in our family when issues were brewing, and suddenly, almost unexpectedly, it came tumbling out. Most often than not, it was loud! Screams, tears and accusations…yelling to be heard…to be understood. Screaming for justice! The thing about screaming and yelling at one another when we are hurting is that no one really hears and no one really wins. We get so caught up in proving our own point that we don’t take the time to listen to the other person’s views. I think that is what I love about Jesus so much. He doesn’t scream at me! He doesn’t feel it necessary to shout to get our attention, to make his point, or to straighten us up! No, it’s His quiet love and kindness that gets our attention. It was His gentle love that drew the sinners to Himself. Can you imagine their response to Him had he stood on a street corner and screamed that they were sinners, going to hell? No, rather than condemn them and shout out their wrong-doings, he invited them over for dinner. He chose to sit with them and love them and teach them his ways, by example. I think the only time he had to shout was when the crowds got so big that they couldn’t hear him unless he had. He brought forth justice to those that needed it. He heard their hearts, he heard that they were broken and bruised and smoldering, and he didn’t crush them with his words or actions. He loved them. I don’t know the answer specifically for those pained ones in Missouri, but I do know this: Jesus is crying out for them to come to Him, to pour out their pain to Him. He will comfort them. He hears the injustice that they feel. And He has made a way for them to experience peace. The next time, I get my feathers ruffled, I hope I remember this. I’m a bit feisty by nature and sometimes, the injustice of a situation causes me to want to shout out my views and opinions. I hope I remember that the better way is to sit down, share my views peacefully and to listen to the other side… and most of all to ask the Lord to show me His love for us both. I hope that I remember that I never drew near to anyone who was angry and yelling- in fact, I ran in the other direction. I drew near to those who showed me compassion and kindness; who loved me despite myself; who cared to hear my heart even if I wasn’t right on all of my points. I pray that we would be a people who show this kind of compassion for the bruised reeds and smoldering wicks of the world- those that are all around us. Let us not crush them, let us love them gently and kindly. Let’s stop screaming for justice. Let’s realize that Justice stands before us and He never felt the need to scream to make His point! 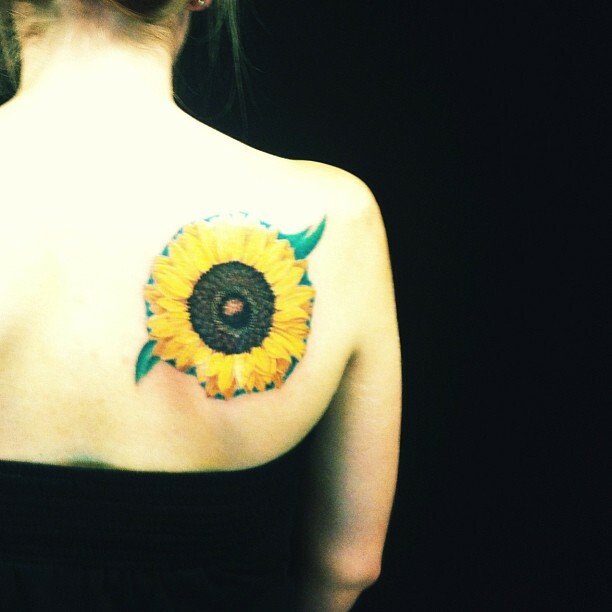 Fast-forward ten years… My oldest daughter Lindsey shared with me that she had decided to get a tattoo. By this time, tattoos were becoming common. People of all ages, social-economic statuses, religions, etc. were adorning their bodies with Ink. What used to be reserved for soldiers and bikers was becoming open for all. Because Lindsey was married and an adult, I didn’t have much of a say, but inwardly, I struggled with her beautiful, flawless body becoming marked with something she may later regret. She chose a beautiful tattoo. 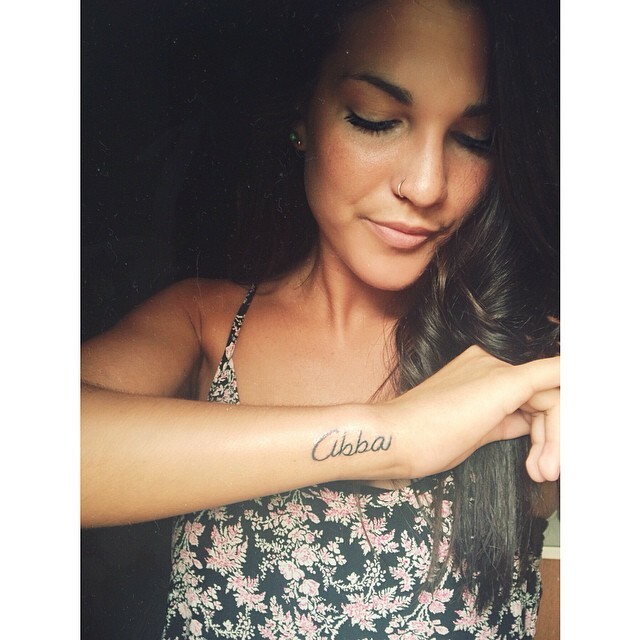 She had been to Africa and fell in love with the country, so she tattooed on her foot, the outline of the country and a meaningful scripture verse. She came over to show me the art. I really liked it, but I must admit, I secretly recalled her little foot when she was born and thought, “Never again will it be flawless.” I was also secretly glad that she chose to mark her foot so that at least it couldn’t be seen most of the time. I have four daughters and I am like all mothers, I think my girls are simply beautiful! Perfect! I love them just the way they are… and yet, each one has a desire to tattoo their bodies. This blog is not to debate the issue (there are enough blogs about that), but I chose to write about this to share how I’ve come to view the “Ink Issue”. Ally, our middle girl has always lived on the edge. She is passionate about Jesus- has been to Africa and India, and desires to live a radical life for Him. I love this about her. I love how passion fills her heart- and how she shows it. So why would I not be surprised that one way she chooses to show this passion is by displaying it on her body? At the present time, she has four tattoos, with a fifth one coming in a few weeks. They all focus on her love for Christ; each one placed very prayerfully and intentionally. Ally informed me that she is in the planning stages of getting a “half-sleeve”. For those who are not aware of what this means, it’s tattoos from the shoulder down to the middle of your arm. Her idea? Tattoo the favorite flower of her sisters, her grandmothers and me… those women who mean the most to her in her life. Yes, I cringed, and smiled all at the same time. So, what to do? How to react? What to say? Or not to say? Through this process I’ve learned a lot about myself, and others. I’ve learned that most people who tell the girls that it’s “against the Bible” don’t really know what the Bible says. (They take one verse and make it a doctrine). For those who would like to know more about that, I can share a few good studies (which I’ve done) that help to understand this a little better. I’ve also learned that there are a lot of well-meaning people who have judged my girls and also treated them differently because of their tattoos. These God-loving people have forgotten to realize that the issue of their own hearts is more important to the Lord than what’s adorning the skin of my girls. I’ve encouraged my girls to forgive them and not allow their hearts to grow bitter for it. Although I will probably never tattoo my skin, I’ve also learned that before my girls started getting tattoos, I had also judged others when I had seen their marks. I’ve pictured them as being “rough”, or “wild” or whatever adjective you want to use… I had put them in a separate category… I secretly lowered my respect for them… Sadly, I never once asked them to explain what their tattoos meant to them, or even just loved them despite the art on their skin. One day, I felt the Lord ask me, “Do you judge women who wear earrings?” Piercings of the body had once been to our culture what tattoos are now. But honestly, I thought of it that way. In fact, I had my girls ears pierced before they were ten. Hmmmm…. Lastly, I’ve learned that tattoos are one way that a new generation is expressing themselves. If I disqualify them, or judge them, or categorize them in my mind, I am separating myself from them… why would I do that when my heart cries out for unity? Some may be wondering about my daughter, Morgan. She is the only one yet to get a tattoo… but that will end in two weeks. Morgan and her three sisters are going together to the tattoo parlor. They are getting a tattoo that they will all share. I’ll leave the details to later, but when they told me about it, it’s a beautiful image of one of their favorite memories as children. How can a mother argue with that? So, to sum this up, maybe ask yourself, if you were as I had once been… judgmental, critical, and offended? Ask God to help you see people from the inside out, not from the outside in. The truth is, there are many people who look really good on the outside but their hearts are ugly… and there are many, whose skin is covered with color, whose hearts are as pure as snow. May we have eyes to see and a heart like Jesus to see the difference? I love history, which is kind of funny. I hated history in middle and high school. I thought it was boring and I filled that hour of the day, day- dreaming about what I’d be doing after school. Thankfully, I’ve passed down my patriotic tendencies to my children, and Lindsey, who is home visiting from New Zealand suggested that she and I do a “mother/daughter trip” to New England. So, we did! A few years ago, I was able to visit Providence, Rhode Island for a brief trip. I literally fell in love with that cute city. It was bitter cold during that visit and they had just received a huge snow. The city was quiet and covered in a blanket of crystal white snow. Lovely! So, I suggested to Lindsey that we visit Providence on our journey. I was thrilled that she loved it as much as I had, and I fell more in love with it during the summer months. It’s charming in every way! 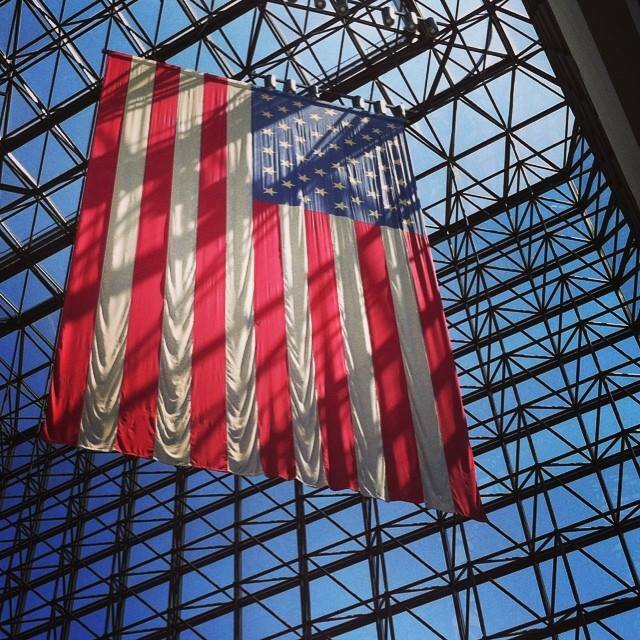 Our next stop on our journey was Boston and the JFK Presidential Library. Lindsey is a Kennedy buff and it delighted me beyond words to see her face as we walked into the grand building. Her eyes lit up when she saw his beloved sailboat “Victura” and all the other wonderful exhibits. Our last leg of our journey was to visit Plymouth- the home where the Pilgrims landed way back in the 1600’s. We toured the Mayflower II as well as a visit to the famous “Plymouth’s Rock”, which is believed to be where the settlers first stepped upon arriving. As we stood above the rock, among a crowd of people, we waited for the tour guide to share the story. I’d heard it all before, so I wasn’t really expecting to learn anything new, but was excited to hear what she had to say. I was in for a surprise. First of all, not that this matters AT ALL, but I guess it does, otherwise I wouldn’t mention it… the lovely lady spoke very broken English- to the point of hardly being able to understand her. I thought it was pretty amazing, and thought to myself, “Now, isn’t that what America is all about? A melting pot of people from all walks of life, coming together to enjoy the freedom of what we stand for. To have a tour guide, talk about our first settlers in such broken English was kind of like an exclamation point of that fact.” But then, it became disturbing… not her speech, or her thick accent… not at all. What became disturbing is what she said… She began to say that some would want to convince us that the first Pilgrims were here for religious freedom, but that is not accurate. In fact, she said, “There were very few people on that first ship that were here for that at all.” She gave reasons for the others… they were spouses, children and helpers of those who were here for religious freedom. It was her demeanor– her insistence, that history had it all wrong, and we were fooled into thinking that people were actually concerned about religion at all. The other folks listened- some smiled, some seemed to agree… but I walked away from that rock disturbed to the core. We walked to a little café and I methodically ate my burger and fries… but I couldn’t shake what I had heard. It tore me UP! Lindsey had taken a college American History class this summer and she explained that her professor said pretty much the same. I was beginning to get heartburn, not from the burger but from the anger that was rising about the injustice of it all! Slowly but surely, the history of our nation is being rewritten. Our nation was founded on religious freedom, and those who crossed the sea and came to a shore of uncertainty, felt that this issue was more important than the comfort of their safe, secure homes in England, or Scotland, or wherever else they came. It’s time we join together, and pray, and fight for what our forefathers fought for… for religious freedom… for our nation to be One Nation under God again. If we won’t, then before long, who knows what will be taught about our beginning… and what we will stand for. Sometimes the opposition seems so much more powerful, so much more organized, and so much more able to win… But, I am reminded of something that is stronger than all of that… it’s truth. They say that truth stands the test of time… and I am believing that in time, with much prayer, this nation will turn back to the Truth of God’s Word, to the truth of His power, and to the truth that He gave this country to us for the sake of religious freedom. Let us not allow what our ancestors died for to be taken away so easily! Let’s join our hands and hearts together. Let’s pray to God for this nation, to turn back to God, to turn towards one another, to live in unity and freedom, which was His plan all along. I bet the title of this blog may have caught your attention, right? That word… naked… seems so scary to me. Maybe it’s because I’m a 50ish woman who’s birthed four children. Naked. Yeah, not a pretty thought. But I’m not referring to physical nakedness. No, I’m talking about emotional and spiritual nakedness. Let me explain. For me, I like to clothe myself with those things in life that make me comfortable. A job that provides adequately for my needs and wants, family that I can be myself with and enjoy life’s moments with, friends that offer support and comfort (and visa versa), and a relationship with God who is my steady. Yes, all of these “things” are part of my life, that make me feel comfortable, secure, and, well… clothed. And each and everyone one is important in life… and yet, for me, I was getting some things out of balance… and something needed to change. Last year, well, can I say, it felt like I was being stripped? Life happened. One by one, those comforts of my life were torn away… and I felt… Naked. Alone. Confused. Violated. Vunerable. Like someone who was stripped of their clothing and huddled in a corner, I was trying to cover myself the best that I could. I was unemployed; unable to get a job for months on end. The security of a steady income was gone. The savings was melting away by basic needs of survival. Naked. I said goodbye to three of my four children. They were off doing awesome things that didn’t involve me. The thrill of being a vital part of their daily lives had vanished. I was no longer needed in that capacity, which is a good thing- but amidst all of the other losses, it took its toll. Boy did I feel naked. Two very dear friends passed away within a short period of time- unexpectedly, devastating to me. Other friends, for reasons I can only blame on Satan, himself, chose to walk away from our relationship. Misunderstandings took over and I lost valuable and treasured friends. Naked. To top it all off, my beloved dog died suddenly. One day he was with me, the next, not. I was stripped, suddenly of this constant companion. My life, one by one was becoming very empty. Naked. What was happening? Why had all of these comforts in my life been taken so quickly… so spontaneously… so constantly… so continuously… so At.The.Same.Time? When I ask a question like the one above, I feel obligated to answer it… since it is my blog. I will attempt to, although I am not convinced that I have the complete answer at this point. In looking back (it’s been about one year), I can say this… God was allowing the stripping. He was allowing this orchestrated removal of those soft, warm, lovely things in my life to be removed, not so that I would be embarrassed, hurt, shamed or fearful… No, He would never do this to His own. But I believe He allowed it for something far greater than I could understand. He was allowing it for my good. For my good? How could I say this? How could I sum up the total of my losses to be for my good? No, I am not placing a “pat answer” on this… I hate that, don’t you? I believe that the Lord loves me, and saw that I was very much putting my comfort and pleasure on people, and titles, and duties. He needed me to understand that this would not, nor could not ever give me true peace or fulfillment. I felt wonderfully secure having a job that took care of my needs. But when I didn’t have this job, and couldn’t find one… it was then that I relied on God, the supplier of my needs. It was when the bank account dropped to numbers that made me nervous, that I cried out to God and saw Him do the miraculous on my behalf. I began trusting Him for needs that I normally took for granted… Oil for the furnace… groceries for the week… presents for Christmas… He supplied it all. Yes, I was naked without a job, but through that process, He began to clothe me with a trust that He will take care of me…always. I love being a mom, and there is nothing more enjoyable for me than to have daily experiences with my children. When that was taken when they moved to other parts of the world, I thought I’d die! I hated living without them in my life each day. And although this was taken, I learned a valuable lesson. God desires to be the source of my contentment. Not my children… not my job… not anything…when it’s all stripped away- I found that He desires to be the source of my true happiness…He wanted me to find contentment not in what I do, but who’s I am. I am His child, and that alone should be what clothes me in contentment. The loss of friends, whether by death or severed relationships was the hardest for me. I felt so betrayed and alone. It sounds silly, but there were many days, during the confusion of those days that my dog would sit on my lap and comfort me as I cried for my loss. He seemed to know. He licked my tears, nuzzled against me as my heart was breaking. The Holy Spirit used that sweet dog to give me great comfort in my loneliness. And then… He died. During that time, the Lord showed me the truth that He is the only One who will never leave me or forsake me. He clothed me with comfort and peace and I am grateful for the assurance of that promise. Although I’d never desire to walk through the past year again, I will say this… I’m grateful for it. I’m grateful that the Lord loves me enough to allow me to be stripped of those things that needed to be taken… and I’m grateful that He, in turn, has clothed me in a love and security that has given me peace and true happiness that only He can give.